A vehicle inspection is something that many people tend to overlook, or think is unimportant because cars are believed to be inherently safe these days. However, you never know what could potentially be defective or damaged when it comes to the many moving parts and systems within your vehicle, so it’s best to have it checked by a professional. We recommend having your vehicle inspected, mainly for safety reasons, at least once a year. ensure that your vehicle adheres to federal and or state safety and emissions standards. Do you have to get your vehicle inspected in South Dakota? Luckily, South Dakota has amazing air quality and is one of the few states that does not require emissions testing of any kind. If your vehicle is titled or registered in the state of South Dakota you are off the hook. If you’re from another state here’s a place to check out your local emissions requirements, click here. We'll ensure your AC is Ice Cold! At Tyrrell Tires we know how annoying it can be if your air conditioning or heating systems are working properly in your vehicle. We are always more than happy to take a look at your vehicle and see what the issue is, there is never a job too much for us! Please don’t hesitate to bring your car in if you think something isn’t quite right with your AC in your vehicle. 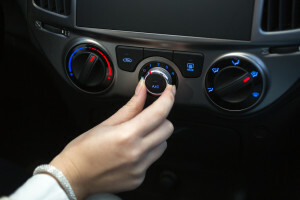 Just like with anything you purchase, wear and tear are going to occur, your A/C system in your vehicle is no different. After so much time and usage, certain components of the system may start to work less or not work at all. Typically, a common issue with air conditioning systems are hose pipes being clogged or springing a leak, causing the A/C to either not be as cold or not cold at all. However, if you try to keep up with routine and proper maintenance, these issues shouldn’t come up. If your A/C or heat quits working when you are idle, or the car is not moving, it only works while you are driving. Don't get caught with a dead battery! One of the most important components to your car running properly, and even starting, is the battery. The battery and electrical systems in your car are very vital to the car powering on and all the buttons and components working while it’s on. Your car battery is responsible for starting your car engine, storing power that is generated by the alternator, and powering the secondary electrical systems that your car has. Some of those secondary systems are things like: power windows, power seats, radio, lights, and windshield wipers. The first thing to note with your car battery is the fact that it’s rechargeable! Unlike most other components to your vehicle, your battery and be recharged or jump started as an easy fix. Because of this it’s a great idea to keep some jumper cables or a transportable battery charging system to charge your battery. You never know when your car might decide not to start, or you might need to assist another driver in need. Another important thing about your car battery s that it’s recyclable too. When you have an old car battery that you can no longer use, take it somewhere that recycles them, and it greatly helps reduce the materials needed to make new batteries. Recycling your car batteries reduces dangerous chemicals in landfills. To keep from constantly running down the battery, turn off those secondary electrical systems when they are not in use, i.e. cabin lights, headlights, and the radio. Make sure to keep the battery and the area around it clean and free of oxidation. It is also recommended to get some sort of corrosion protection for your battery as well. Make sure to check the hold-down clamps and terminals, make sure they are nice and tight. The battery and electrical system in your vehicle are very important and vital components to make it run properly and comfortably. Please don’t hesitate to bring your vehicle in to have Tyrell Tires inspect any battery or electrical issues that you think your car may be experiencing. If you’re looking for a new battery, our staff are happy to help you find the right one for your car and decide which brand is best for you. Squeaks and drips? Don't ignore them! There are many things that could go wrong or potentially break and be damaged when it comes to the belts and hoses within your vehicle. 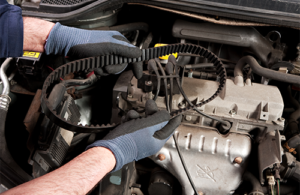 There are many different belts and hoses located throughout the engine bay, and any of them could break, spring a leak, or crack at any time. With the potential for extreme weather, and the unavoidable damage of depreciation over the years, it’s best to get your belts and hoses checked regularly. Some of the most common causes of breakdowns are leaks where vital fluids have leaked from the car and it won’t start. When to have them looked at? If you are driving and feel any significant vibrations or “slipping” or “catching” that you seem to notice within the engine. Another red flag is if you notice a loss of power from the motor, this could indicate something being loose or cracked and broken. A squealing or grinding noise within the motor, may also be a cause for concern relating to your belts and hoses. Have squeaky brakes? Give us a call! When it comes to safety, the brakes on your vehicle are one of the most important aspects to keeping you safe. Everybody who gets in a vehicle has a fear of failing brakes, to give yourself peace of mind you should have them routinely checked. Tyrell Tires recommends having your brakes checked once a year, that way you can insure that they are not in need of repair, or replacement. The brakes on your vehicle are the most essential part of keeping you safe while driving on the road. Because they are used every day, it’s important to keep up with maintenance on your brakes. 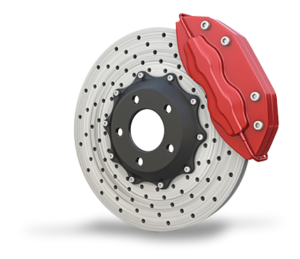 There are two basic types of braking systems that most vehicles have, traditional brakes and ABS. 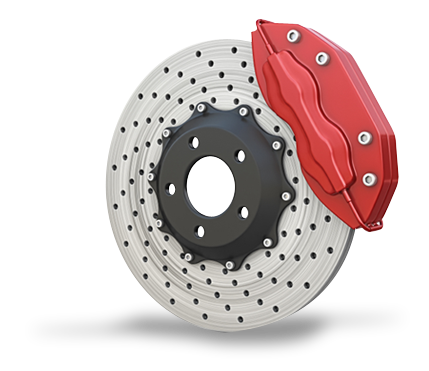 The typical components to a braking system are: the rotors, calipers, and brake pads or shoes. When you keep up on replacing the pads maintenance is cheaper, but if your pads wear too much you may need to replace the rotors as well. Why Brake maintenance is important? A grinding or scraping noise when you are not using the brakes. This could be an indication of a bearing or brake issue that you need to have checked ASAP. If you live in a hilly place, or drive in a lot of heavy traffic, it’s recommended to have your brakes looked at more than just once a year. If you must add fluid more than once every few months then you might need to take your vehicle in to be checked. Your brakes are the most important thing to keep you safe when operating your vehicle, don’t shrug off little noises or things you think may not be important. You never know when your brakes could fail or be damaged. Don't ignore these two essential parts! At Tyrrell Tires, we have the knowledge and expertise to repair and replace vehicle CV and Drive axles. Your vehicle’s axle connects two wheels together in front and in back. This load-bearing component acts like a central shaft, maintaining the wheel positions relative to each other and to the vehicle body. The axle construction matches vehicle use; trucks and off-road vehicles come with axles that keep the wheel positions steady under heavy stress (ideal for supporting heavy loads), while conventional axles satisfy general consumer needs. No matter what you drive, remember that your vehicle’s axle must bear the weight of your vehicle (plus any cargo) along with the acceleration forces between you and the ground. When it comes to axle inspection, we are your source for professional, knowledgeable service. Bring your car to us and rest assured that the equipment that carries you and your family is safe and secure. Your vehicle depends on a properly working electrical system. At Tyrrell Tires in Rapid City, we can get your vehicles electrical system back up and running! Four main parts make up this system, and they must work together effectively. Your exhaust system is more than a muffler. Tyrrell Tires specializes in not only fixing stock exhaust systems but also installing your favorite aftermarket systems! The exhaust system is a series of pipes that run under your car connecting to your muffler and catalytic converter. The exhaust system controls noise and funnels exhaust fumes away from passengers. Don't ignore the little things! Having issues with your vehicle? Bring it by Tyrrell Tires as soon as possible and we will diagnose the problem(s) for you. We have a wide range of services and carry top-of-the-line products to accompany them. Our skilled employees will provide you with full service and quality repairs for all your vehicle needs. At Tyrrell Tires, we offer a Mobile Tire Service! Don’t get stuck on the side of the road without a way to get your car or truck back to town. Just give us a call and we’ll come to you! Let us customize your ride! Customize your vehicle with cool accessories. At Tyrrell Tires and Speed Center, we have the parts you’re looking for! Whether it’s cosmetic changes or tuners, stop by today! If it’s for your interior or exterior, we have something for everyone. When it comes to detailing, performance, or maintenance accessories talk to our professionals and we will help to find what you need. Have a leaking radiator, bring it into Tyrrell Tires today! We’ll diagnose and repair it (if needed). Have you ever had a cold or the flu and you’ve spiked a fever, causing your temperature to rise? It’s not fun to feel that way, is it? Being sick and overheated causes a person to be tired, and their performance drops significantly. Now imagine this same situation happening to your vehicle. When your radiator is not working properly, it is like giving your engine a fever. This not only harms performance, but can cause major damage. Your radiator is one of your vehicle’s most vital components. The radiator displaces heat caused by your engine in order to keep the engine cool and running correctly. If the steering and suspension in your vehicle aren’t properly aligned, it can make for a pretty rough and uncontrollable ride. The steering system and the shocks are the components that bear the weight of the car, and keep the tires on the road while you drive. It all works together to give you a smooth and controllable ride. At Tyrrell Tires, we recommend having your suspension and steering checked at least once per year to avoid needing any major repairs. Please don’t wait if you start feeling something is off with your vehicle, we don’t want you to risk the safety of yourself and potential passengers. Indicators you should bring your car in? 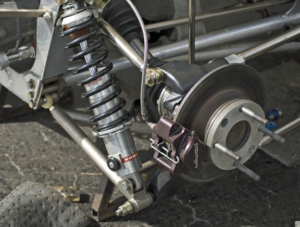 Our team of specialists will look over every potential cause of the suspension or steering issue, to make sure we find the proper solution and affordable solution for you. Next time you are experiencing suspension and/or steering complications, don’t hesitate to bring your vehicle to Tyrrell Tires! Looking to restore your wheels to the shine they originally had? Looking to create a new look using the same wheel? At Tyrrell Tires we can help restore your wheels to their factory condition or help you create a customized look to fit your style. Wheel polishing and refinishing is the art of re-engineering the look of your wheels. We perform all types of refinishing, from simple painting to polishing. Pick your Vehicle and Wheels/Tires! Give your pickup or car a new look today! Select your vehicle and the new Tires and Wheels through our Configurator! When you’re thinking about adding lift, level, or lowering kit to your vehicle, understand there are many different options depending on your vehicle. Adding a lift, or lowering kit to your vehicle will not only enhance the style, but also improve off-road driving, or optimize performance. Regardless of what you are looking to accomplish with adding a kit, our staff will be happy to assist you in making the decision of which kit you have installed on your car. If you’re looking for a lift kit, Tyrrell Tires is the perfect place to stop in and do some shopping. We have a skilled team of technicians who can not only help you choose the perfect lift kit for your vehicle, but also install it quickly and correctly. We offer these brands and more at our store: Rough Country Lifts, Pro Comp Lifts, Fabtech Lift Kits, etc. Coil Suspension Lift Kits: The Coil Suspension lift kit is the most expensive of all the lift kit options, however it’s very worth it. The biggest cost with this type of lift is the professional installation cost, because it’s labor intensive. These lift kits are designed for heavy off-road travel but still give you control on the highway. 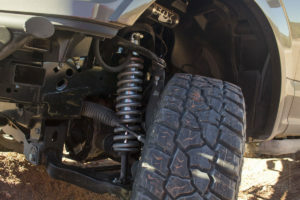 Lifted Spring Suspension Kits: The Lifted Spring Suspension kits are the most common type of lift kit. This lift kit gives you a few additional inches of clearance and the ability for bigger tires. This type of lift will not affect how the vehicle feels driving down the highway. Shackle Suspension Lift Kits: Shackle Suspension Lift kits are the best kit if you are just looking for the aesthetics of a lift on your vehicle. These types of lifts are not designed to really be taken off-road. Typically, this lift is also very affordable and comes with a lower cost at the price of poorer steering and control of the vehicle. Shackle Reverse Lift Kits: Shackle Reverse Lift kits are intended for off-road use, and they make for a smooth ride off-road experience. Although these lift kits offer a smooth ride through the woods and forest, they do not offer much highway control. A leveling kit is to improve the look of your vehicle, and to give you additional safety. Some trucks and other cars are lighter or heavier in the front or back of the vehicle, a leveling kit will help balance this. With a leveling kit, it will balance out the weight and properly align the vehicle, and give your car a more aesthetically pleasing look. When a vehicle is off-balanced it can affect handling, suspension, and tire wear, thus the need for a leveling kit. Come in to Tyrrell Tires today to have your vehicle assessed! Installing a lowering kit on your vehicle can increase the appeal of your vehicle and performance. At Tyrrell Tires, we offer a great selection of different lowering kits that our trained technicians are able to install for you. Please don’t try installing one yourself at home, you could potentially damage the undercarriage of your vehicle. Proper tire repair is critical and any puncture or injury to a tire will affect its performance. If you have any questions regarding your tire’s condition, at Tyrrell Tires, we’ll be glad to inspect them for you. An improperly repaired tire may fail when driven at high speed causing loss of vehicle control. Flat or damaged tires need to be repaired by qualified personnel. Almost any sharp object on the road can cause a flat tire. Do not attempt to repair the tire while it is still connected to the wheel. You must inspect the inside of the tire for hidden damage or risk weakening the tire. Punctures in the tread area may damage a greater area of the tire like the inner sidewall. Without removing the tire, it’s hard to see all the damage. Having trouble with your TPMS? Give us a call at 605-792-2922 today and our professional team will take care of it for you. 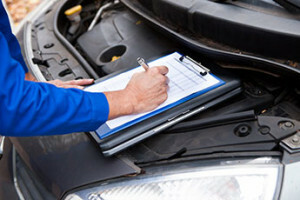 Oil changes are a routine part of maintenance that most people are good at keeping up on. For the majority, your vehicle needs an oil change about every 3,000-5,000 miles in order to avoid engine wear, and keep oil from leaking. At Tyrell Tires we will get you in and out for an oil change, come in today and give us a try! 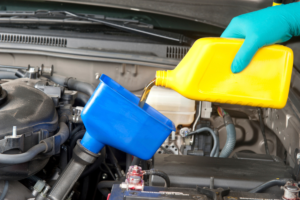 Your vehicle relies on new oil and oil filters to keep it running smoothly. The oil in your car needs to be kept, clean from debris, full, and not burnt. Oil is very essential to the proper function of your motor, oil lubricates everything within the engine and keeps it running properly. The oil in your vehicle is there as an aid to slow down the wearing of components in the engine that rub together and create friction. By keeping a regular oil change schedule for your vehicle, you are extending the life of your vehicle, and increasing the engine efficiency.